The core "hook" to Circuit Breakers is that all the weapons have unlimited ammo, however, shooting also uses up special crystals (dropped by enemies) that upgrade your gun. 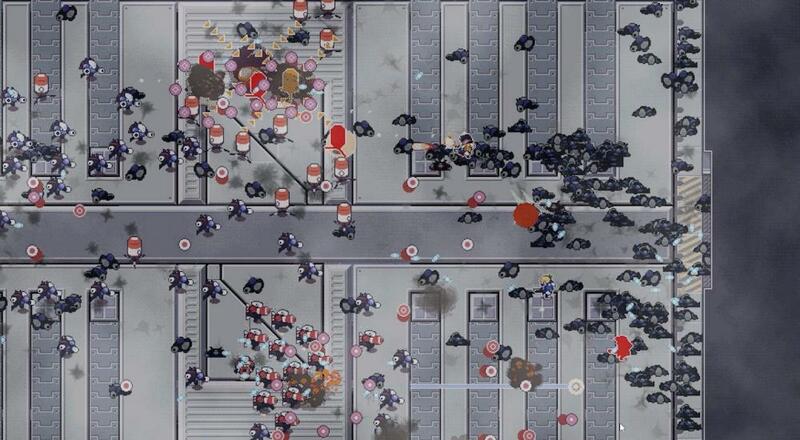 This "tug of war" mechanic means you shouldn't just "spray and pray" and adds an interesting strategic element to the usual twin-stick shooter gameplay. Circuit Breakers is available now on PC, PlayStation 4, and Xbox One. The PC and Xbox One versions support six player couch co-op across all game modes, while the PlayStation 4 version only supports up to four players locally. There's demo for the game on the PC via Steam, and a 30-minute free trial will be available on the Xbox One next week. The developer actually put together a handy "buying guide" that goes through each version and any specific differences there may be between them.